Graham Blanchard Publishing Company, located in Austin, Texas, celebrated their first birthday on October 1, 2014. 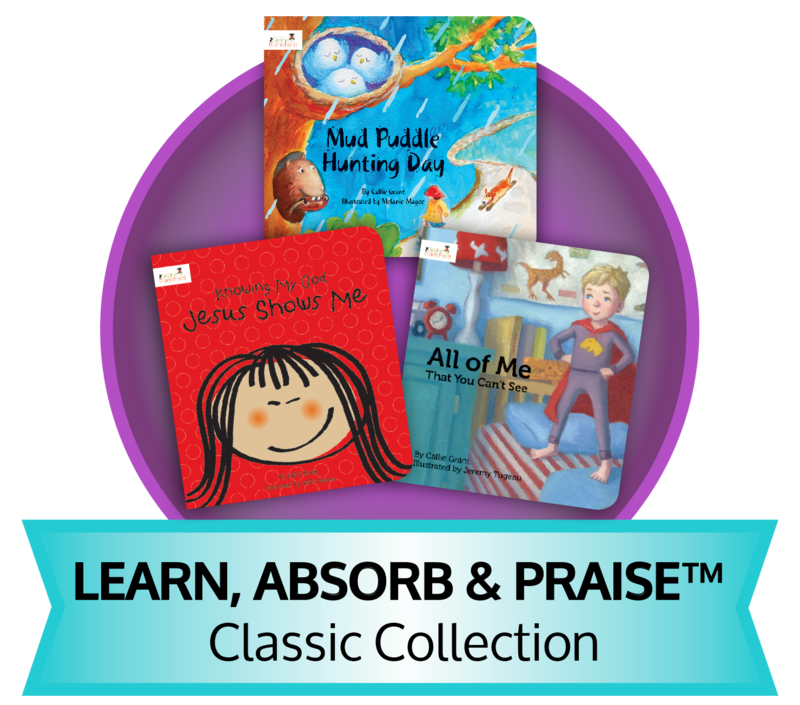 They specialize in board books that help parents teach their young children about God, and their books fall into three unique categories: Learn, Absorb & Praise™. LEARN books explore God's Word by weaving key passages with a child’s life. ABSORB books encompass the facts about God and help children understand what a relationship with God is like. PRAISE books celebrate the wonders of God that children experience every day. In honor of Graham Blanchard's birthday, they launched The Learn, Absorb & Praise™ Classic Collection. This is a gift set of 3 titles, including Jesus Shows Me (from the “Knowing My God” Series), All of Me That You Can’t See, and Mud Puddle Hunting Day. The entries will close at 11:00 p.m. (Central Time) on December 1st. These books sound lovely! I think Bethany would enjoy them! I think Bethany would enjoy them, too! These would be wonderful for my children.